Be it resolved that the Conference on the History of Women Religious here assembled confers on Dr. Carol K. Coburn the Distinguished Historian Award. Given the twenty-eighth day of June in the year of our Lord two thousand sixteen, at the conference, “Whither Women Religious: Analyzing the Past, Studying the Present, Imagining the Future,” gathered at Santa Clara University, Santa Clara, California. 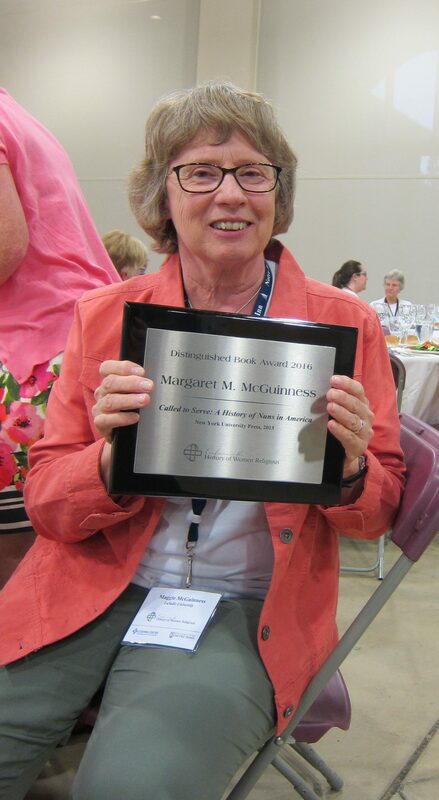 Be it resolved that the Conference on the History of Women Religious here assembled confers on Margaret M. McGuinness the Distinguished Book Award. Given the twenty-eighth of June in the year of our Lord two thousand sixteen, at the conference, “Whither Women Religious: Analyzing the Past, Studying the Present, Imagining the Future,” gathered at Santa Clara University, Santa Clara, California. 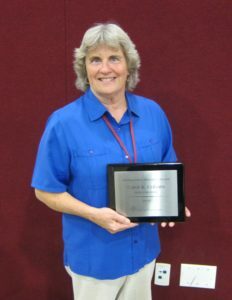 Be it resolved that the Conference on the History of Women Religious here assembled confers on Karen Kennelly, C.S.J., the Lifetime Achievement Award. Given the twenty-eighth of June in the year of our Lord two thousand sixteen, at the conference, “Whither Women Religious: Analyzing the Past, Studying the Present, Imagining the Future,” gathered at Santa Clara University, Santa Clara, California.